Stripping!Put your dollar bills and your pound notes away boys and girls ;-) As today tutorial is all about stripping models…the plastic kind. There have been many posts on the subject and just as many explanations. This article will focus on a single tried and tested method. There are plenty of other ways of doing this but what’s important is that they achieve the same result. This article acts as a single point of reference rather than searching for a solution to bring new life you your previous attempt. 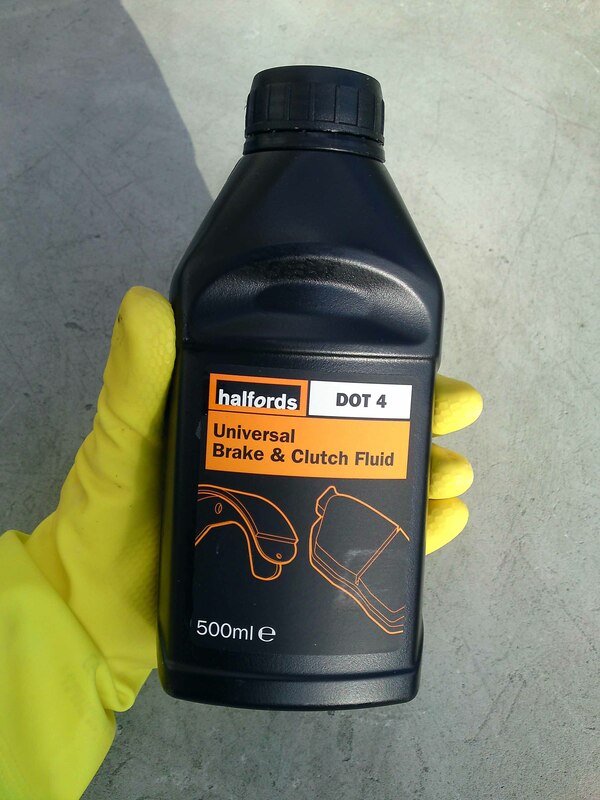 Materials:Car Break Fluid (Halfords Dot 4) note. 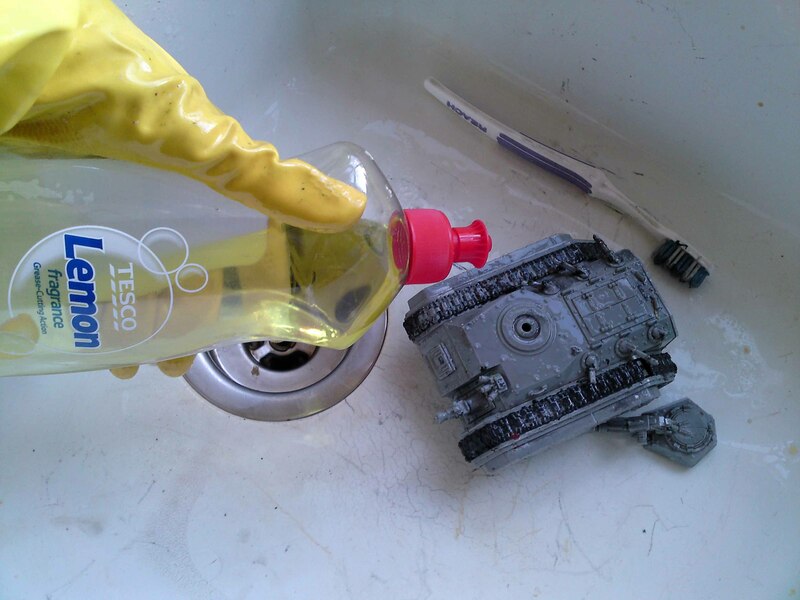 Please don’t break fluid direct from your Dads car as he’ll need it at the traffic lights.Tooth Brush (not your own ;-)X2 containers (each big enough to hold your model)Kitchen Gloves (Don’t tell Mum what your using them for)Washing-up liquid.Weight (small rock) The Model The example being used is an Imperial Guard Chimera painted in GamesWorkshop acrylics, car spray paint and undercoated in GamesWorkshop primer. There’s a good variation of paint types used and will show how universal this technique is. The model in question was one of those ‘Oh dear’ moments when the paint scheme didn’t turn out how I wanted. 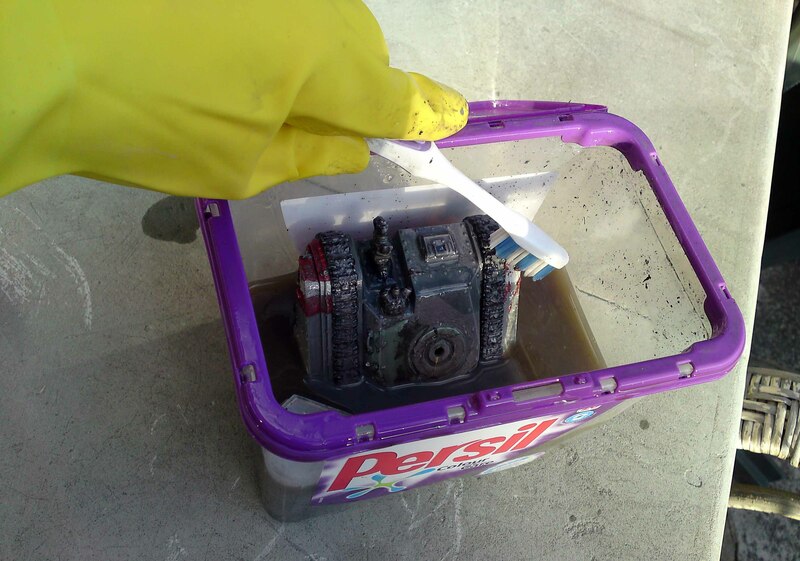 Step One Get a container big enough to hold the model but not too big in that you’ll have to buy loads of break fluid to completely submerge the model as this’ll cost more. 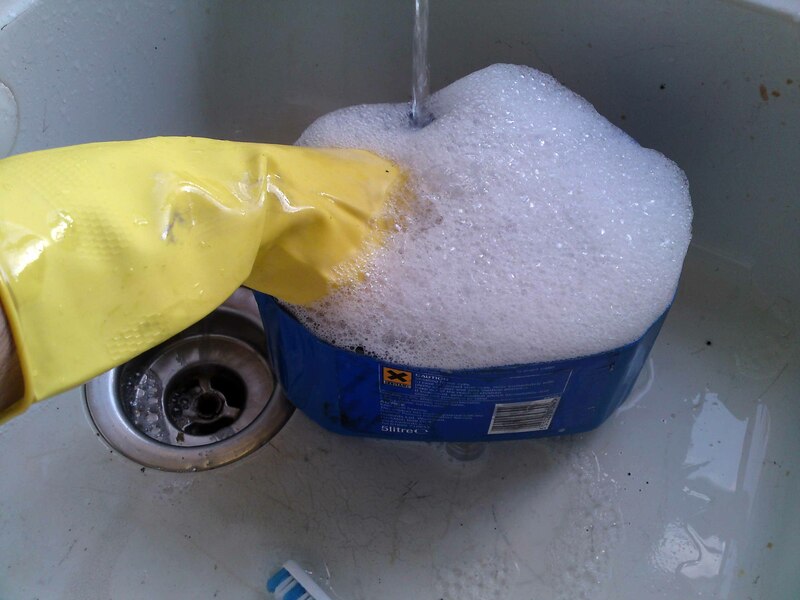 While wearing gloves*, pour the fluid into the container until the model is completely submerged. Naturally the model will decide to be a boat and float. This is where you’ll need to use that rock to keep it to the bottom. * Kitchen gloves are advised when dealing with break fluid. 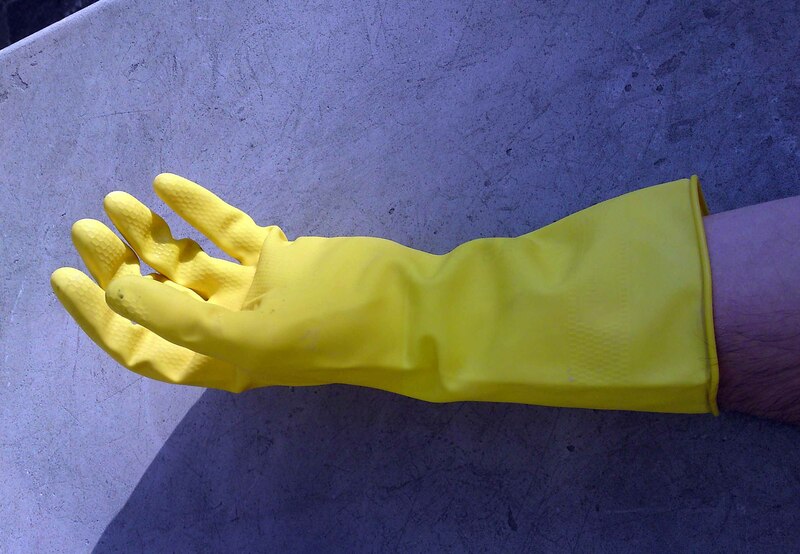 Standard latex gloves are too thin and tend to warp and sag when dealing with this chemical. If you do make skin contact it’s not a big deal but it’s recommended that you wash it off straight away. Man-made chemicals for cars aren’t normally good for humans. Step TwoLet the fluid do it’s work. Leave it in the shed or somewhere it won’t get disturbed or inhaled for 24 hours. Step ThreeYou’ll notice the paint running off. Wearing gloves, use a toothbrush to clean residue paint from the model. The paint will easily fall off and reveal the virgin plastic. Do this while in the partially in the break fluid as if you’re washing a puppy. Step Four Take out of the break fluid bath and be sure to pour out any fluid that has leaked into the model. 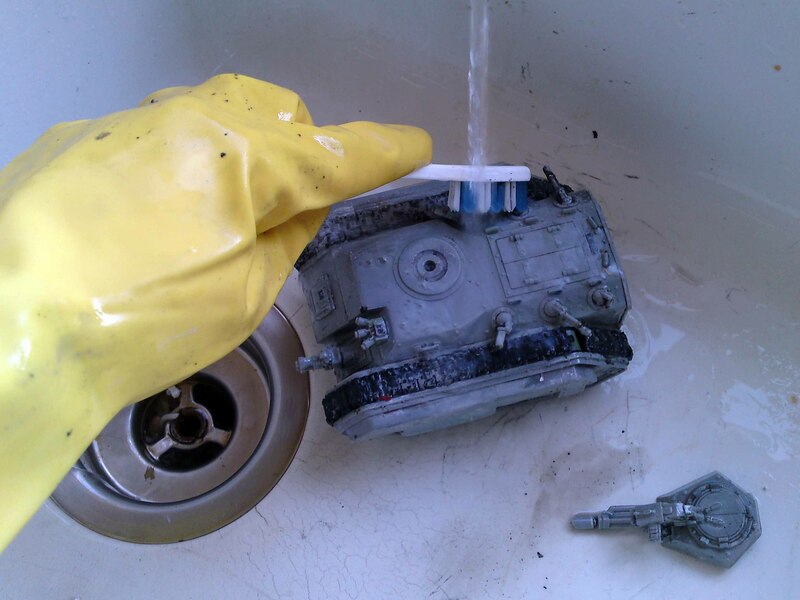 You’ll not want break fluid leaking out after you repainted your masterpiece. Step FiveRinse under a cold tap while brushing with a toothbrush and washing-up liquid. It is very important to clean off the fluid thoroughly or any paint you apply will peel off. 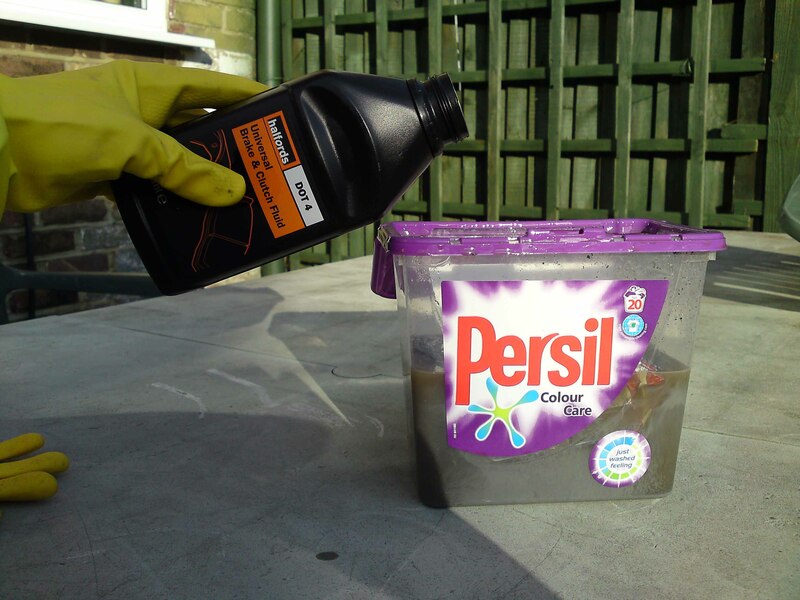 Step SixUsing a different container submerge the model in a washing-up liquid coldwater bath. Place a rock (weight) on top to stop it from floating and leave over night to have a good soak so it can dream of future battles. Step SevenTake out and rinse under a cold tap to wash off any soapsuds and shake out any water left inside the model. Step EightLeave near a window or radiator and let it completely dry out. Step NineTa da! 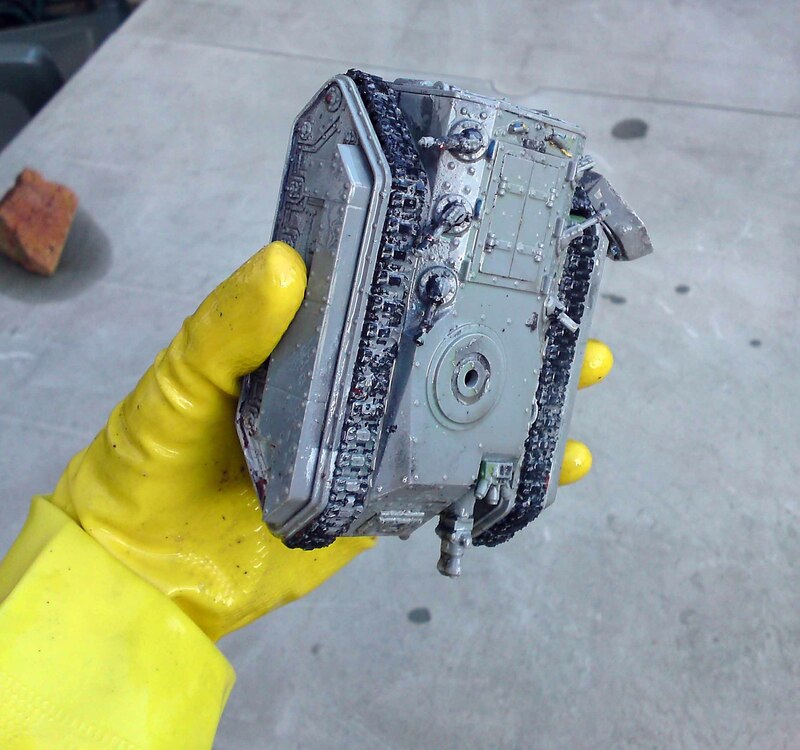 Like brand new…Lets start again.Plus!...You can reuse the break fluid bath over and over…but don’t put into Dads car. Trouble ShootingOh no! I have break fluid on my clothes!Not to worry. 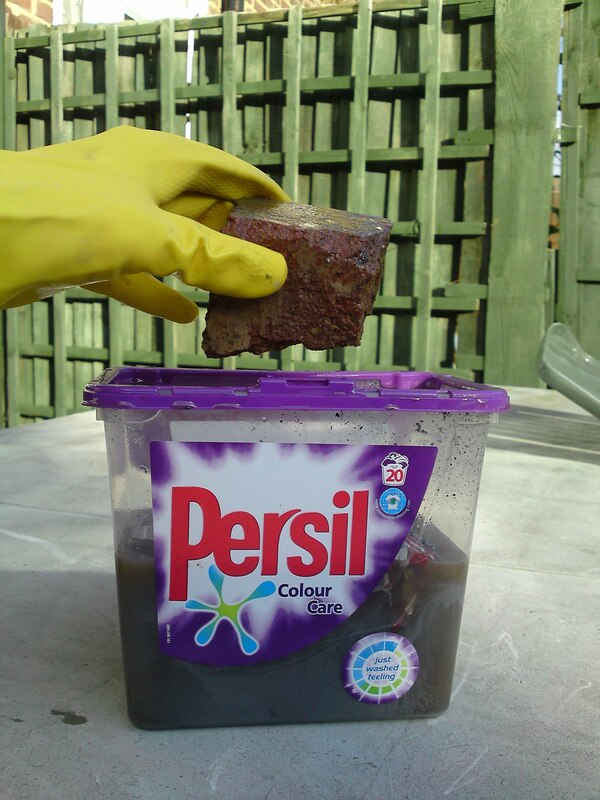 Pour on some concentrated washing up liquid and rub the material against itself. Place into the washing machine and the break fluid will magically disappear. NoteOther chemicals: If you’ve painted your model exclusively with Games Workshop acrylics, you can do the same procedure but instead of break fluid you can soak the model in 1 part bleach and 3 parts water. This will completely dissolve the paint. 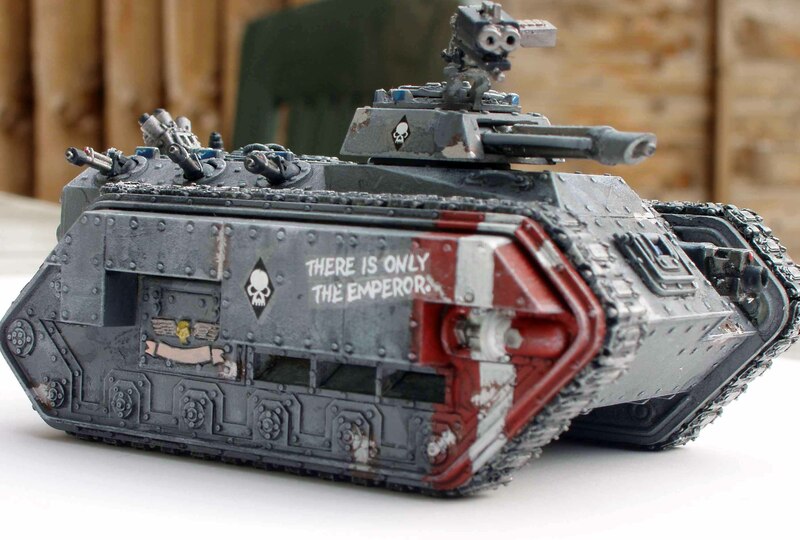 But will not strip Gamesworkshop primer or oil/spirit based paint. With metal miniatures, you can use ‘Nitro Mors Paint & Varnish Remover’ Leave over night and wash off using a suede brush (wire brush). Be extremely careful! As this is like acid. If it makes skin contact, immediately wash off with water. Also do this outside as the fumes are highly toxic. If you have any comments or would like to contact me for more troubleshooting or just a chat about stripping ;-) Please feel free to make contact. :-) Cheers all. Be smart listen to Mr A chaos, dettol if you can get hold of it is by far the best method of stripping plastic miniatures.But can someone please tell me how to go about stripping paint(citadel) from forgeworld resin miniatures? For both plastic and resin miniatures stripping I'd recommend DOT-3 break fluid instead of DOT-4. DOT-4 according to my experience may dissolve the plastic itself, while DOT-3 doesn't harm the model (neither plastic nor resin) even after 48hrs+ exposure. I quote a youtube video i saw recently theyt used fairy power spray they said to leave it on for about 10 mins and then they used a power toothbrush. It's "brake fluid" not "break fluid". Says it on the bottle.